We’ve all met them — judgmental people who think they’re always right about everything and everyone else is wrong. To arrogant people like this, anything anybody does is never right or quite good enough. Judgemental people be exhausting to be around, spreading their doubt and fear, criticizing others and their dreams. After spending time with a judgmental person, you can leave questioning your own life choices and direction. Don’t listen when a limited person projects their opinion about your life. In 1919, Walt Disney was fired from the Kansas City Star because, his editor said, he “lacked imagination and had no good ideas.” If Walt had listened to the editor who fired him, the world wouldn’t have Mickey Mouse or Disney World. 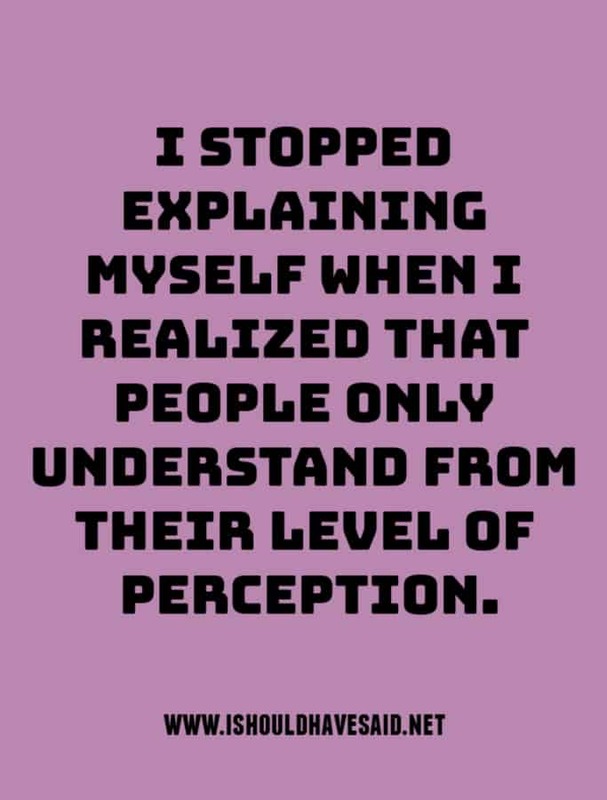 It may seem like a judgemental person is making a judgment about you, what it really is a projection of their own reality, their ability which has absolutely nothing to do with you. It’s so funny how the people who know the least about you, have the most to say. While you were busy judging others, you left your closet door open and a lot of your skeletons fell out. Before you judge my life, I suggest you take a good look at your own life. If God has a problem with the way I live, let him tell me not you. Don’t judge me. I was born to be awesome…. not perfect. 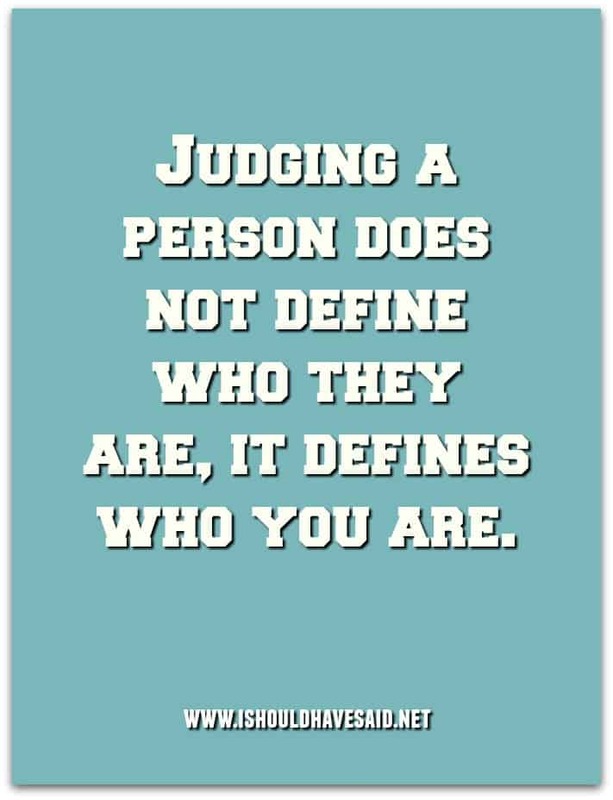 When you judge another you do not define them, it defines who you are. 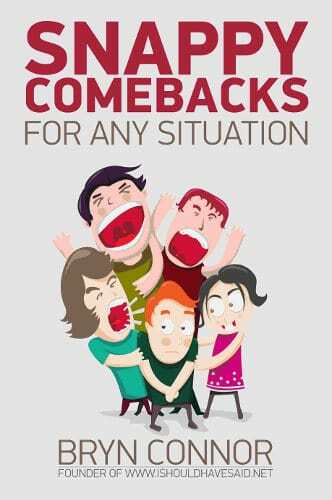 If you have to deal with a judgemental person who gives you a hard time, our book Snappy Comebacks any Situation can help you out. 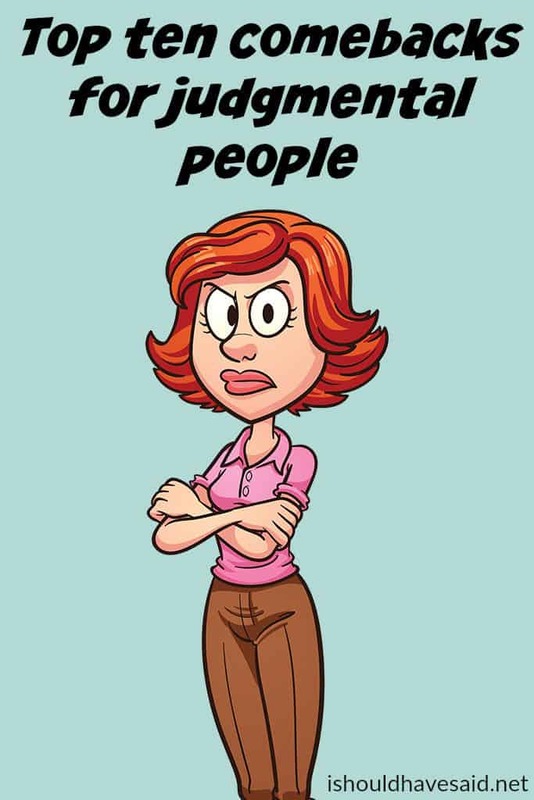 Be prepared for difficult people with clever responses on your phone or device any time or anywhere. 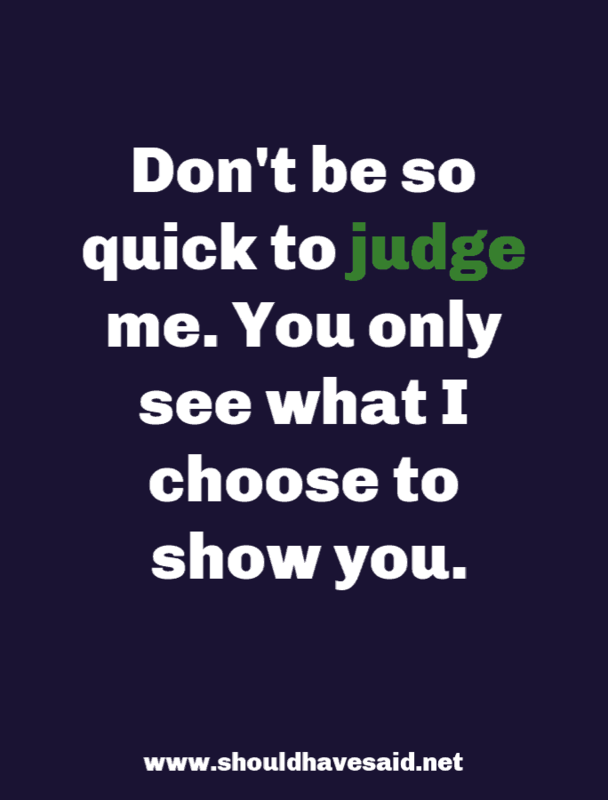 Got any comments, questions or tips for dealing for dealing with a judgemental person? Share them in the comments below. Yu could tell them don’t judge others because hey sin differently than you. Don’t judge my choices if you don’t understand my reasons. These are not “Witty” comebacks, these sound like life quotes or something. People have different values and some people think girls should not wear makeup until they reach a certain age. I don’t think you will be able to change her opinion no matter what you say. If you feel good about yourself with the makeup continue to wear it. If she judges you, is she really your friend? If she’s a true friend, you don’t have to change just for your friend to be happy. You don’t have to be the one to adjust. You should say “If god was making a bunch of scratch copies of people, you would be one of them, Excuse me I’m ugly?! Wow! It worked! I was trying to look like you today! You know, there’s an app on your phone that makes you ugly, it’s called camera. The baboons from the zoo just called and they want their butts back, looks like you will need a new face. (Their name) , I hope you choke on the sh*t you talk about one day. Your birth certificate is from a condom factory. You better hide the trash truck is comming to pick up the trash,” Hope this helps ya roast some peeps! My long time friend just uses ppl. It’s been a long time coming but I just stopped texting and replying. I got a text. “I feel we are off”. I left it alone. The next day was “ well no reply says a lot”. I just want drama to end. Help.